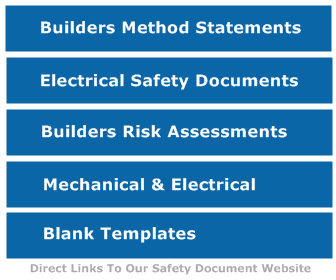 To assist Brick and Block laying companies and individuals we have put together a professional set of Health & Safety Method Statements, Risk Assessments and COSHH Assessments, these are perfect for any sized company and are suitable for use in any country. This example covers tools and equipment, steps to reduce risks, manpower as well as a general safe method of work. This risk assessment details Manual Handling, Slips and Trips, Dust and Silicosis and other injuries with steps to be taken to reduce these risks. Risks Assessed include Mixer operations, Moving Parts, Electric Shock, Dust mad Exposure to cement products.